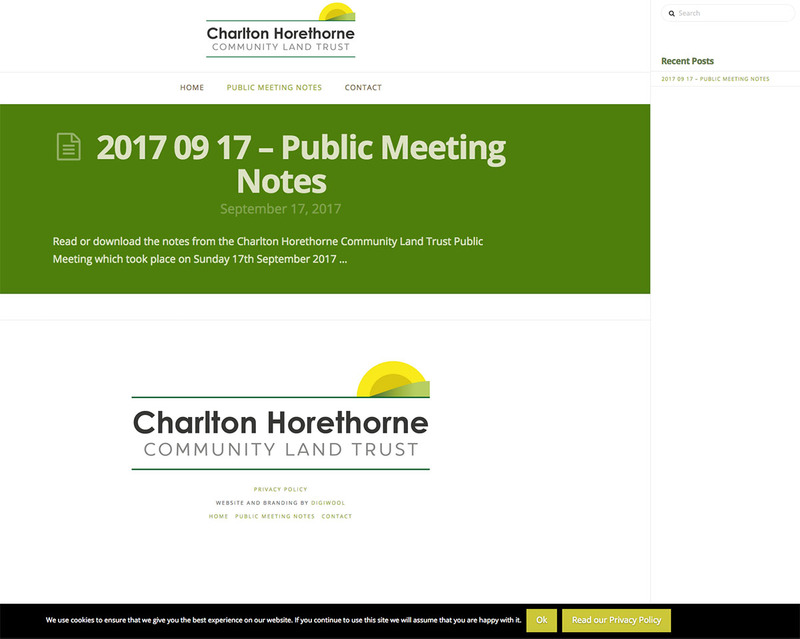 The Charlton Horethorne Community Land Trust (CLT) is a not-for-profit organisation set up to benefit the Parish of Charlton Horethorne. 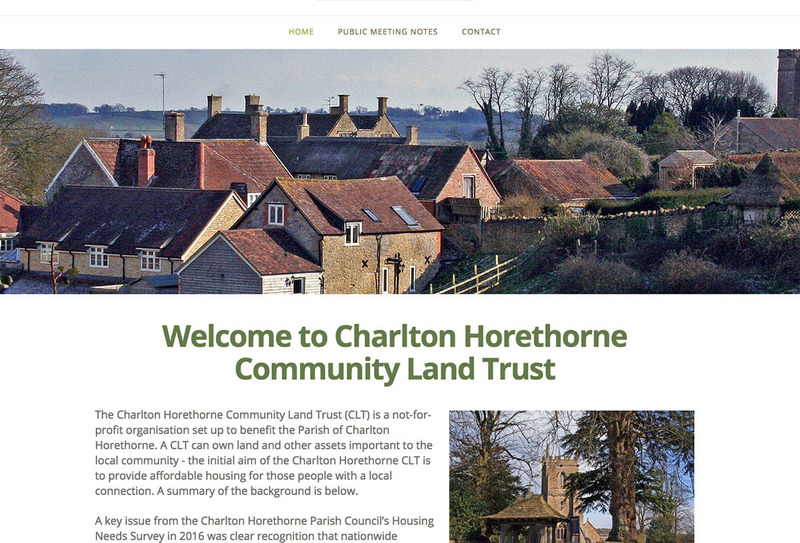 A CLT can own land and other assets important to the local community — the initial aim of the Charlton Horethorne CLT is to provide affordable housing for those people with a local connection. Initially they required a logo and branding which needed to be open, bright and friendly but also official and businesslike, tapping into the heritage of the village. I designed a number of logos and the above one is the design the CLT decided upon. 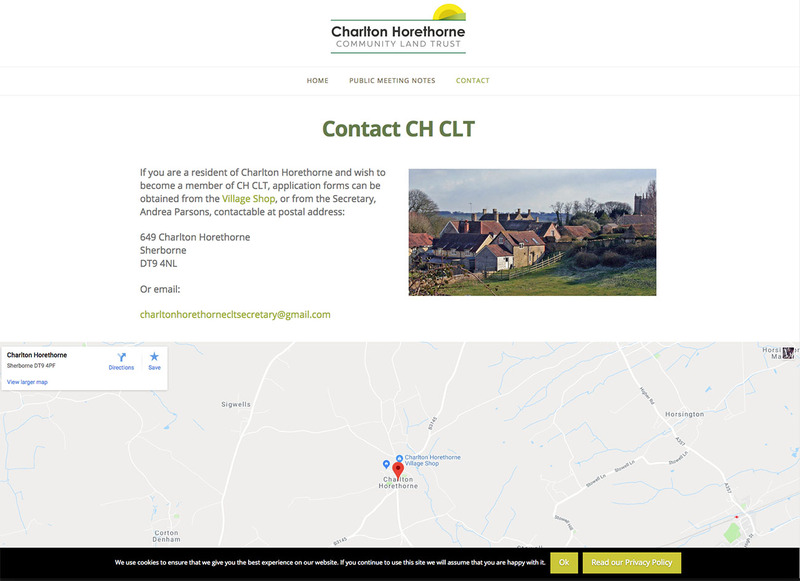 Following the logo design, the CLT required a very simple website, with just a little information, a means of contact and a record of the public meeting notes. I kept the design clean and to the point, showing off some of the village’s pictorial highlights. 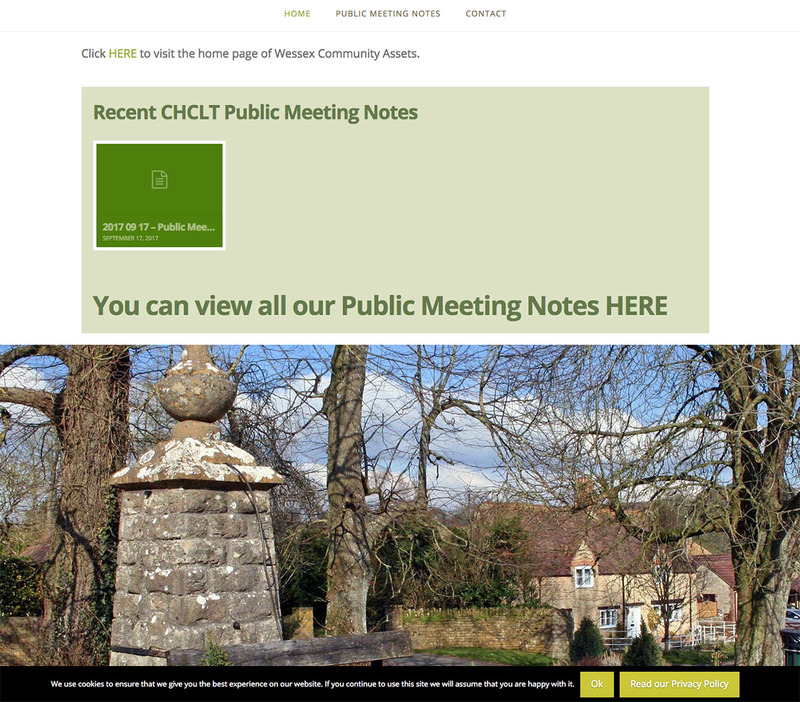 The public meeting notes I built so they are searchable by date and therefore easily accessible.